Aboard Silversea's small ships and intimate luxury cruises you can discover the world's most intriguing ports while travelling in extraordinary style. Sail directly into the heart of St Petersburg, down the Amazon River, under London's Tower Bridge and throughout Norway's breathtaking fjords. While most cruise ships keep getting bigger and bigger, there is something uniquely satisfying about Silversea's luxurious small ship cruises. The intimacy. The close-knit camaraderie. The excitement of exploring secluded, rarely seen harbours where true adventure lies. Step on board a Silversea luxury cruise ship and sense how time pauses. Now imagine a schedule free to fill with all that is close to your heart. Each new day presents a personal canvas to fill with broad brush strokes of bright possibilities. Silversea Cruises India is a division of Expedition Voyages. 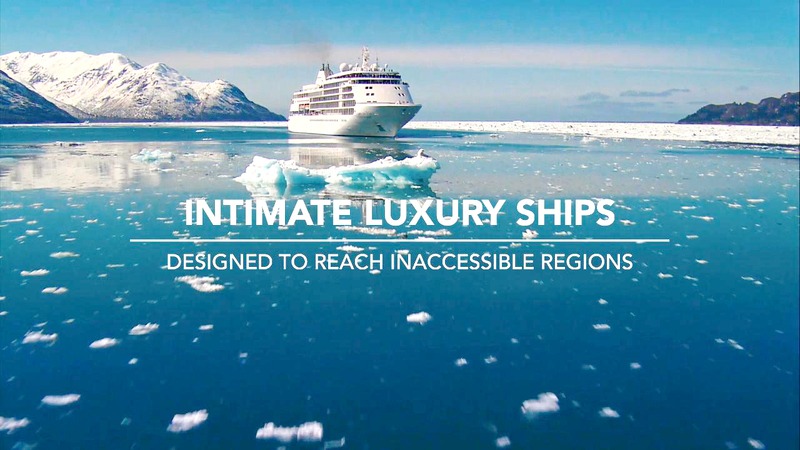 We offer Silversea cruises to clients worldwide. Our mission is to get the best value by booking you on superior ships at the best savings possible. We believe that informed, prompt and personalized attention are the keys to good customer service. And good service is the key to good business. It is our goal to ensure your happiness before, during AND after your trip! Due to our focus and large sales volume, we are able to pass along incredible savings to you. Call us for competitive rates. When you book your Silversea cruise by credit card through us, Silversea will process your card. You should feel safe and good when purchasing a Silversea cruise through us at a competitive rate without any financial risk. Competitive Silversea rates. Request a quote.